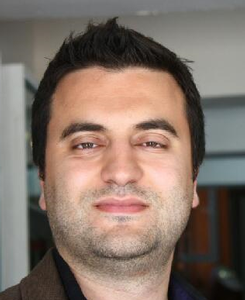 Mert Burkay Çöteli is a PhD student in Information Systems department of Middle East Technical University. He received the B.S. and M.S. degrees in Electrical Engineering from Middle East Technical University. He has also been active in the area of Signal Processing, Software Engineering and Software Verification for over 6 years at the company of Aselsan Inc. His current research in PhD program involves study of source localization, spherical microphone arrays and spatial audio.